Increasing the volume at which you hear is only one component of hearing restoration. If older hearing aids have made it hard for you to distinguish between sounds or fully comprehend what you hear, then we think you’ll be delighted with the leaps and bounds that modern technology has made. Our hearing aid treatment in Lancaster, PA, Lititz, PA and Willow Street, PA, include state-of-the-art NeuroTechnology™ for true hearing clarity. 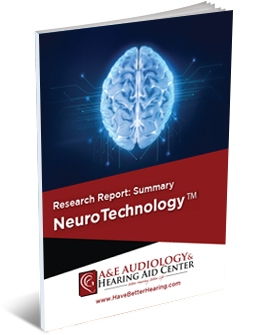 Hearing aids with NeuroTechnology™ can be used to address the full spectrum of hearing difficulties, from people with audiometric ‘normal hearing’ to individuals with severe to profound hearing loss. Hearing aids with NeuroTechnology™ come in several ‘shapes and sizes,’ including some invisible options for maximum discretion. Your hearing doctor will review your treatment options based on your specific hearing loss and hearing needs. Regardless of which type of hearing aid is right for you, whether you’re out to dinner with friends, hitting the beach, meeting with clients, or hiking, you’ll be able to hear what matters most with today’s hearing-loss technology. Schedule Your Free Hearing Consultation & Learn More About Our 5-Star Hearing Aid Treatment in Lancaster, Lititz, & Willow Street, PA! Stop struggling to hear your friends and family clearly. Call one of our Central Pennsylvania hearing centers to request your complimentary initial hearing consultation, and let us show you the incredible advancements that science has made in improving hearing clarity. Your journey to improved hearing begins today with our hearing aid treatment in Lancaster, Lititz and Willow Street, PA!